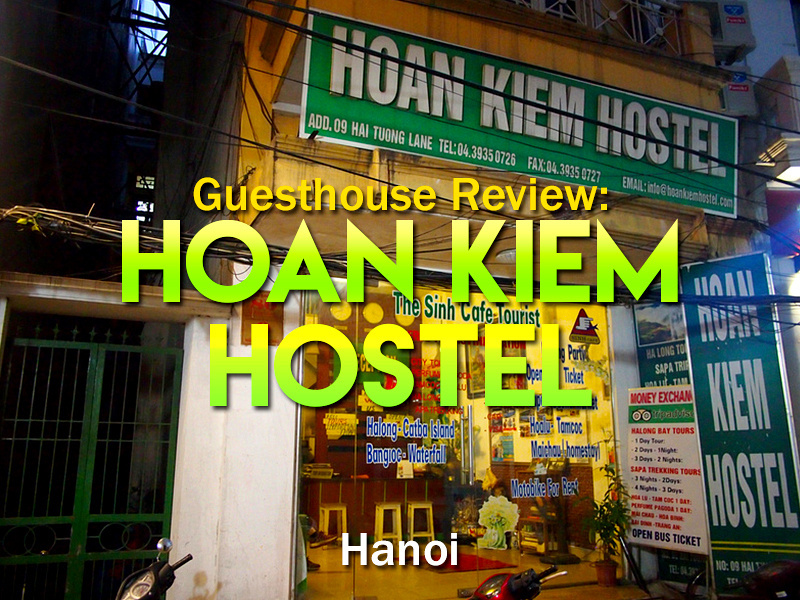 I stayed at the Hoan Kiem Hostel in Hanoi. 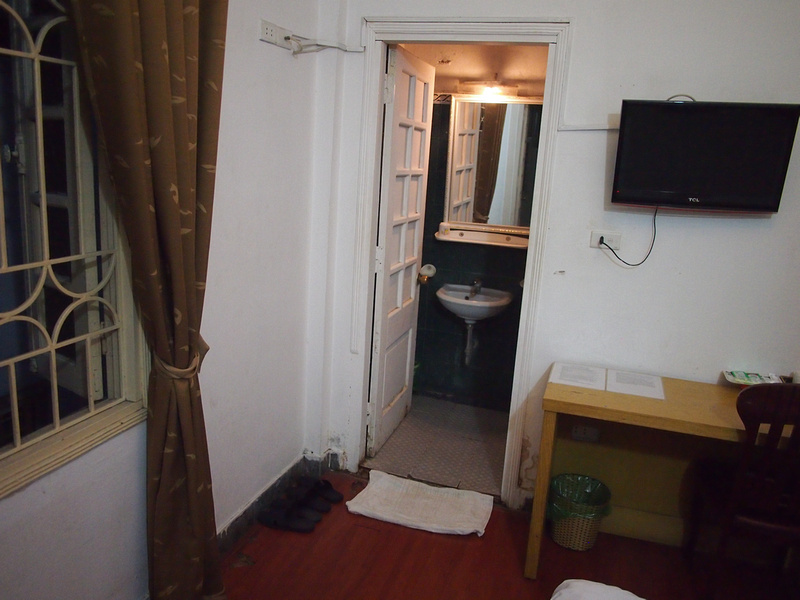 I was looking for a cheapo place to stay in the old city area, and at $11 a night this was about as cheap as it gets. 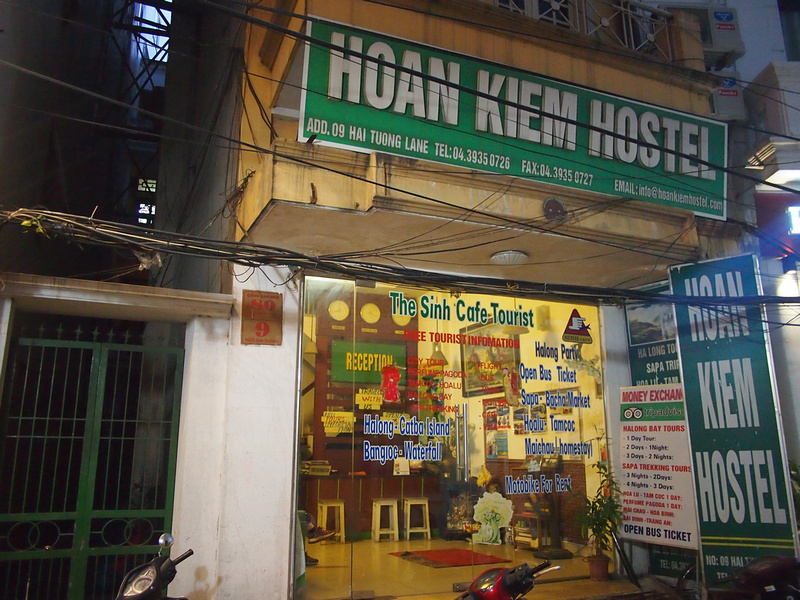 The Hoan Kiem Hostel is not far from the lake and it is next the the backpacker beer street which is a big pedestrian area at night. The guesthouse/hostel is in a little alley off Ta Hien Street. 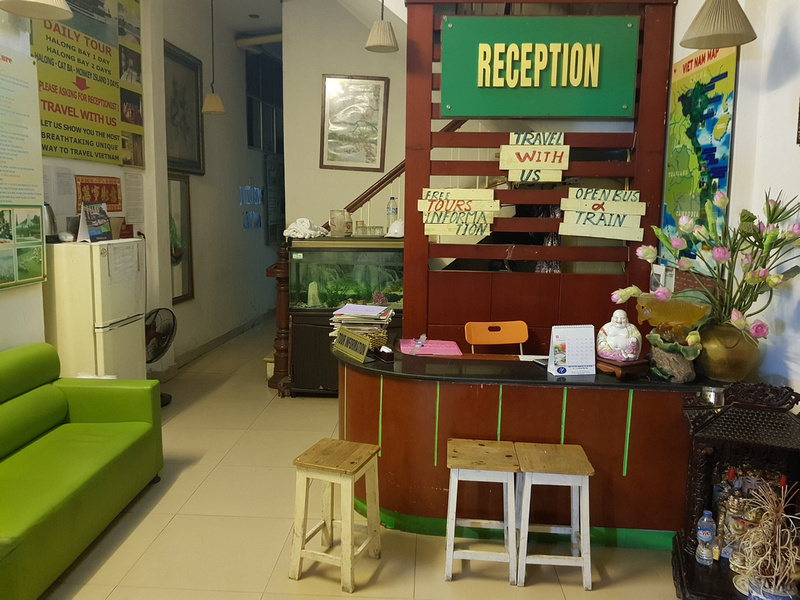 I got a friendly welcome at the reception, and downstairs they have information about travel in and around Hanoi. I got a double room with private bathroom. I had a window which looked out into a narrow alley, which I didn’t mind – as long as there is a window. My bed was soft but is was saggy in places, so I felt like I was sleeping on a hilly incline. The room was spacious and I had a good internet reception in my room. There was a feint smell of something not quite right in the room though, and the sheets also smelled of fake fabric freshener which was annoying. 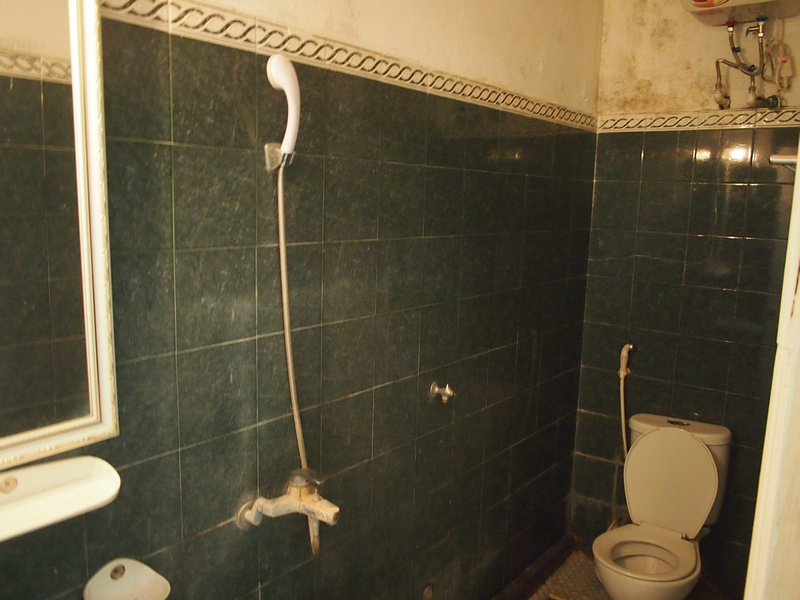 The bathroom was in a bad state. There was a smell which I couldn’t work out where it was coming from. Initially I thought is was from the drain, but then I realised that half of the floor tiles were loose so water was getting in under the tiles. Who knows what things were going on there. That alone was a turn off for going to the bathroom. Overall this place is only ok if you are a budget backpacker looking for a cheap room. The guesthouse is now at a point that they need a renovation and I wouldn’t recommend staying here. 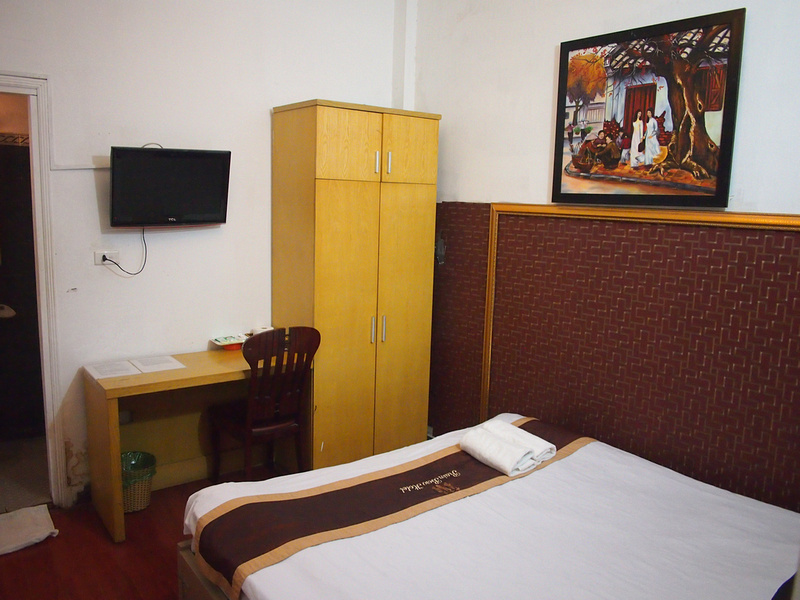 For other recommendations in Hanoi check out Hanoi Asia Guest House or Tung Trang Hotel. Search for more hotels in Hanoi.